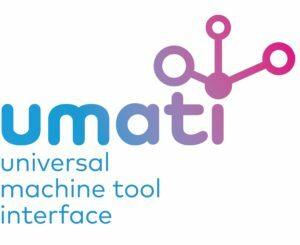 umati (uni­ver­sal machine tool inter­face) moves one step ahead towards becom­ing a gen­er­al­ly accept­ed stan­dard. VDW, the Ger­man Machine Tool Builders’ Asso­ci­a­tion and the OPC Foun­da­tion estab­lish a so-called Joint Work­ing Group. Inter­est­ed par­ties are cor­dial­ly invit­ed to par­tic­i­pate with imme­di­ate effect. “The group will start its work in Jan­u­ary 2019”, reports Dr. Alexan­der Broos, project man­ag­er for umati at the VDW at a press con­fer­ence of the OPC Foun­da­tion at the SPS-IPC Dri­ves trade fair in Nurem­berg. “Inter­est­ed mem­bers of the OPC Foun­da­tion, the VDW or affil­i­at­ed asso­ci­a­tions who want to coop­er­ate in the joint devel­op­ment of umati towards a so-called Com­pan­ion Spec­i­fi­ca­tion of the OPC Foun­da­tion are wel­come to con­tact us”, Broos con­tin­ued. In this way, the VDW wants to ensure that the world­wide needs of cus­tomers and machine tool man­u­fac­tur­ers are includ­ed in the stan­dard. This increas­es the accep­tance of umati as a glob­al­ly accept­ed con­nec­tiv­i­ty stan­dard. As com­mon with inter­na­tion­al stan­dards, a draft of umati is pre­sent­ed to the (pro­fes­sion­al) pub­lic for inspec­tion, feed­back, and com­ments. After a dead­line, the com­ments received will be incor­po­rat­ed to the great­est pos­si­ble extent, such that a final stan­dard can be adopt­ed. In con­trast to clas­si­cal stan­dard­iza­tion orga­ni­za­tions, OPC UA also includes con­fig­u­ra­tion files that facil­i­tate the set­up of so-called OPC servers, which need to be imple­ment­ed in the machine and then han­dle the actu­al com­mu­ni­ca­tion. umati passed a first cru­cial test in a show­case dur­ing the AMB 2018 tradeshow in Stuttgart/Germany. 15 machines from nine man­u­fac­tur­ers with five con­trol plat­forms were con­nect­ed to numer­ous com­mu­ni­ca­tion part­ners. Exchange of data was based on an extract of the first para­me­ter set that had been joint­ly defined up to then. The par­tic­i­pat­ing com­pa­nies report that set­ting up the com­mu­ni­ca­tion net­work took between eight and 16 hours. “The next impor­tant mile­stone for umati is the pre­sen­ta­tion of a more exten­sive show­case at EMO Han­nover 2019. At the world’s lead­ing trade fair for met­al­work­ing we want to present a sig­nif­i­cant­ly larg­er num­ber of inter­na­tion­al part­ners par­tic­i­pat­ing in umati”, Broos from VDW announces. To this end, the VDW is engaged in inten­sive dis­cus­sions with the most impor­tant mar­ket part­ners all over the world. In addi­tion to the planned col­lab­o­ra­tion with com­pa­nies, the VDW is work­ing close­ly with its sis­ter asso­ci­a­tions in Europe, the USA, Japan, Chi­na, South Korea, and oth­ers.